Many of these resources are licensed under Creative Commons licenses, which allow users varying degrees of freedom to reuse, adapt, and build upon content. 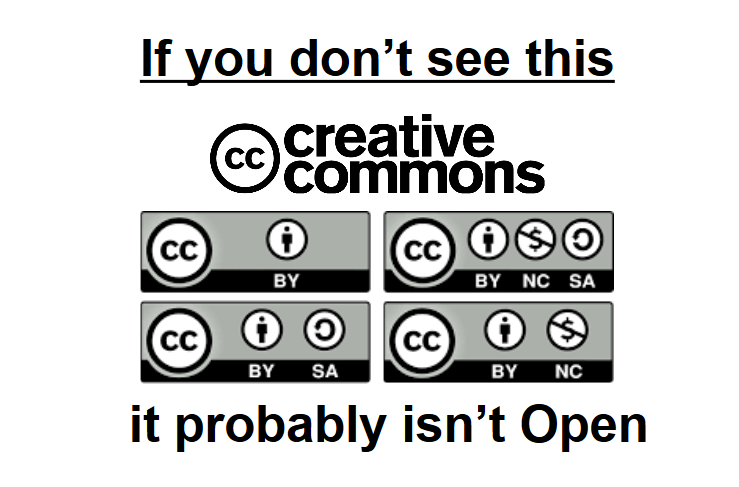 You can learn more about what each license allows at the Creative Commons website. Awareness of open educational resources (OER) among U.S. higher education teaching faculty has improved, but still remains less than a majority, according to a new report from the Babson Survey Research Group. Peer-reviewed open textbooks, hosted at Rice University. The most widely adopted open textbook publisher in the field. Alliances with over 500 major content partners in order to provide a single point of access to the highest quality content from around the world. Users can search across over 42,000 vetted and fully-indexed OER, ensuring a high level of resource relevancy and discovery. Wiley, organizer of the Open Ed Conference, has, to an extent, told us what he means by open pedagogy in a 2013 blog post (the source of my plane analogy). He encouraged faculty to shift from what he calls “disposable assignments” to “renewable assignments”. Disposable assignments are the ones students hate to do, faculty hate to grade and are quickly forgotten. Think ten-page term papers. Renewable assignments are insight-oriented. They engage students in their own learning. More importantly, they are renewable in the sense that the next class of students will inherit them. This blog post from an instructional designer contains examples of how OER were used in two courses. 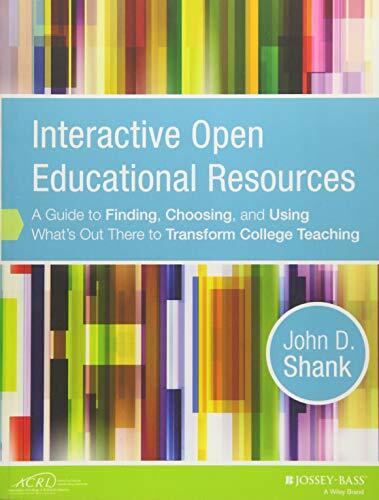 Sponsored by the Association of College and Research Libraries (ACRL), this one-of-a-kind book demonstrates the best tools, resources, and techniques for discovering, selecting, and integrating interactive open educational resources (OERs) into the teaching and learning process. The author examines many of the best repositories and digital library websites for finding high quality materials, explaining in depth the best practices for effectively searching these repositories and the various methods for evaluating, selecting, and integrating the resources into the instructor's curriculum and course assignments, as well as the institution's learning management system.